To learn more or book your stay, please call 951.273.1300 today! 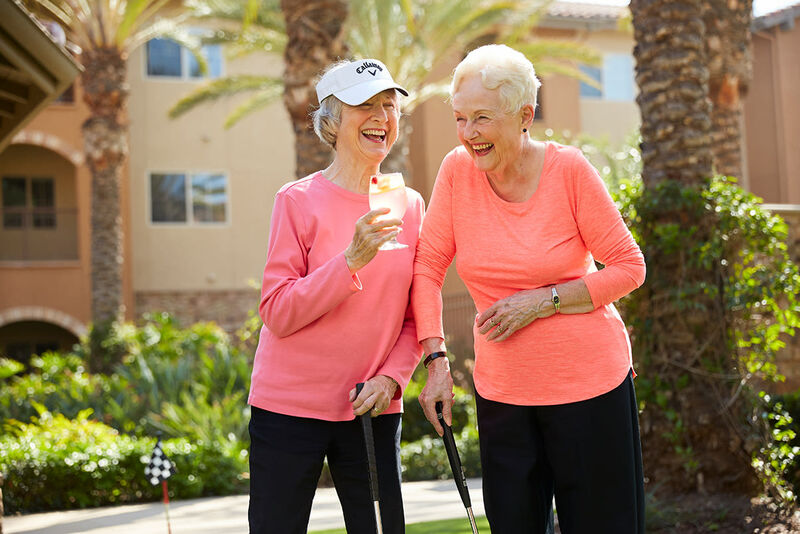 Our discovery stay program was designed in response to those who are interested in senior living, but would like to try it out first before making any decisions. Meet new friends, try a few classes, taste our delicious entrées and get an overall feel for the life you could lead at Valencia Terrace. We’ll handle the hassle of household duties like cooking and housekeeping, while you enjoy your time. We offer a private, furnished apartment that will feel just like home. Included in your stay, you will enjoy three meals a day in our dining room, access to community programming, our pool, and weekly housekeeping. Cable TV and Wi-Fi is included at no extra cost, along with all other utilities with the exception of a telephone. Depending on how long you would like to discover Valencia Terrace, we have a two-week trial and a 30-day stay based on your preference. All you need is your suitcase!